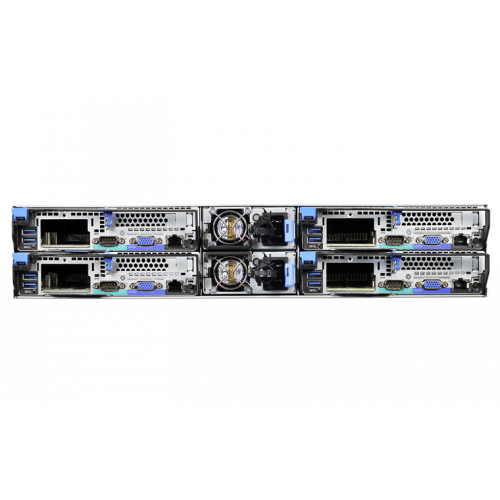 QuantaPlex S41T-2U is designed to power highly parallel applications—such as machine learning, video recognition, and data mining—with incomparable power and cost performance (performance per watt per dollar). The new Intel® Xeon Phi™ X200 processor can not only serve as the host CPU for system boot-up, but it also possess an unprecedented parallel architecture. 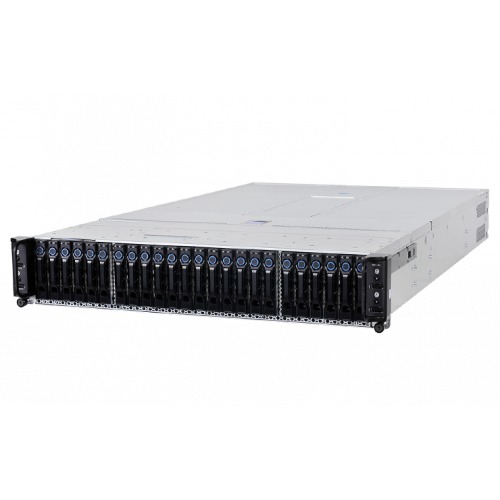 Each processor contains up to 72 cores and each core is capable of working on 4 threads, the QuantaPlex S41T-2U can process up to 1,152 parallel threads as a 2U 4-Node system, making it ideal for highly parallel and vectored applications, such as machine learning, video recognition, and data mining. 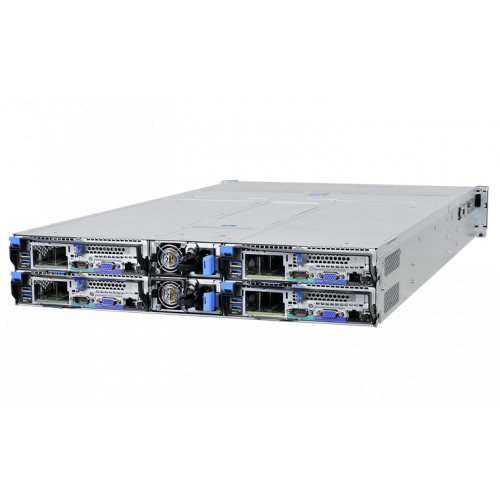 As a highly-integrated platform, QuantaPlex S41T-2U does not require an additional co-processor to scale-up the parallel computing performance. It can achieve the same Linpack performance while consuming around 24% less power, and around 18% less total-cost-of-ownership. That sums up to a 40% performance per watt per dollar increase comparing with the past processor+ co-processor architecture. 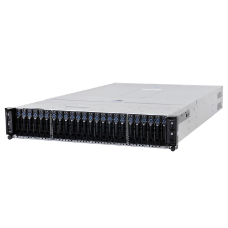 Inheriting QCT’s 2U 4-node chassis design, the QuantaPlex S41T-2U consistently delivers high serviceability and availability. Its modularized shared infrastructure—such as fan cage and the PDB cage—not only reduces cable routing complexity, but also enables faster, easier, and more efficient installation, part replacement, and upgrades. 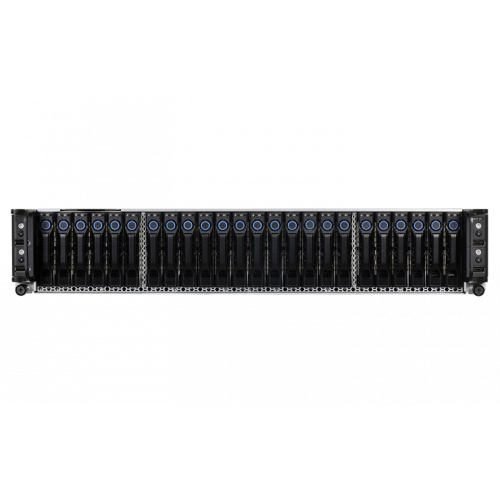 QuantaPlex S41T-2U offers infiniband mezzanine or integrated processor (with Intel® Omni-Path fabric) options for scaling-up cluster performance. The optional Intel® Omni-Path fabric-integrated processor provides a 100Gb/s low-latency connection directly from each CPU, enhancing scalability between node and system more efficiently.